The first century. A time of holocaust. The Roman Empire occupied the land now known as Israel, and the streets were bathed in blood. The Romans launched a severe crackdown on the spiritual activities of the Israelites… The greatest sage of the era was sentenced to death. His name was Rav Akiva. Thousands gathered in the streets to witness the grim execution of this great spiritual leader. 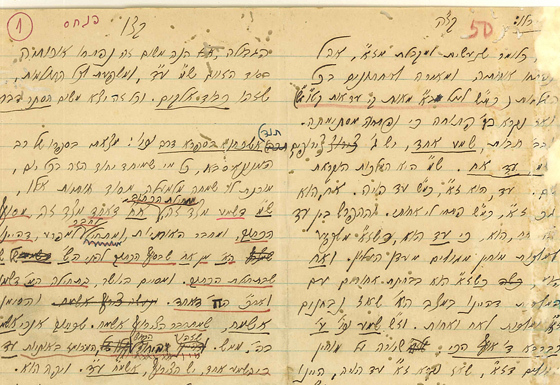 Rav Akiva's skin was brutally ripped from his body with razor-sharp iron combs. But through years of spiritual work, Rav Akiva had mastered the physical world. He experienced excruciating pain for only an instant before the ecstasy of spiritual energy filled his entire being; he departed this world with untold joy in his heart. He left behind his most cherished disciple, a man who would become the greatest kabbalist in history, a giant among mystics: the revered sage Rav Shimon bar Yochai. The Roman Empire feared the mighty Rav Shimon even more than Akiva. Thus, another death sentence was handed down. 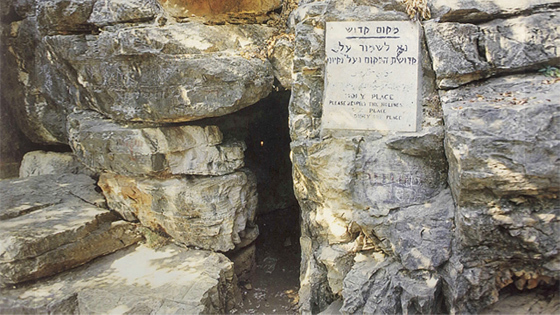 The mystic sought refuge in a secluded cave in Peki'in, Israel, with his son. For thirteen years, they were forced to hide from the Roman army. Seeking to attain the same control over the material realm as his great teacher, Rav Shimon buried himself into the ground, neck deep, each day of his seclusion. During these long years of painful isolation, he revealed the totality of the Zohar in collaboration with a historical assemblage of spiritual leaders—some in body, some in soul—an assemblage that included no less than the souls of Moses and Elijah the Prophet. To protect the secret wisdom that was revealed, Rav Shimon called upon one student—Rav Abba—to commit this wisdom to written word. Abba had an extraordinary gift for writing in the abstract language of metaphor and parable. Thus, the secrets would be safe, deftly concealed inside abstruse stories, making it difficult for the wicked to grasp and misuse this ancient power. Thereafter, the spiritual leaders who followed the generation of Rav Shimon drew their wisdom and energy from the Zohar and formed the wisdom of Kabbalah from its revelations. To this day, the Zohar is acknowledged as the definitive and authoritative work on kabbalistic wisdom. "However, to the laypeople of that generation, the Zohar was considered a work of mysticism and magic. In hindsight, the reason is obvious. The Zohar expounded upon ideas and concepts that were centuries ahead of their time." However, to the laypeople of that generation, the Zohar was considered a work of mysticism and magic. In hindsight, the reason is obvious. The Zohar expounded upon ideas and concepts that were centuries ahead of their time. In an age where science determined the world was flat, the Zohar depicted our planet as spherical, with people experiencing day and night at the same time, in different time zones. The Zohar describes the moment of creation as a Big Bang-like explosion. It speaks of a universe that exists in ten dimensions. It explores the notion of parallel universes. These speculations were considered heretical and frightening. Yet, they were not the most fantastic to appear in the Zohar. "Rav Shimon taught that the Zohar is more than a book of secrets and spiritual wisdom. This mystical treatise is a powerful energy-giving instrument, a life-saving tool..."
Rav Shimon taught that the Zohar is more than a book of secrets and spiritual wisdom. This mystical treatise is a powerful energy-giving instrument, a life-saving tool imbued with the power to bring genuine peace, protection, healing, and fulfillment to those who possess it. The great sage Rav Shimon also stated that there would come a day when even a six-year-old child will delve into the spiritual wisdom of the Zohar. But until that time arrives, the original manuscripts of the Zohar must remain concealed. These manuscripts of the Zohar were then hidden away for centuries. The dimming of the Zohar's spiritual energy coincided with the Dark Ages, a time where every aspect of civilization—including education, science, and communications—was in severe regression. During this time period, the Zohar had virtually disappeared from the world. Few people in the general population had ever heard of it. Whoever sought to read it—in any country, in any language, at any price—faced a long and futile search. As to this long period of concealment, kabbalists refer to the Zohar’s comments in the section of Shemot (Exodus). In the year 1270 C.E. the Zohar reappeared, discovered by Rav Moses Deleon in Spain. As the spiritual energy of the Zohar radiated into the world for the first time in history, its mystical text sparked the collective unconscious of a generation. The power of the Zohar propelled the world out of the Dark Ages. "The power of the Zohar propelled the world out of the Dark Ages." Although some believe that the Zohar is a Jewish text meant only for select scholars, the Zohar has always been studied by all people. During the fifteenth century, for example, there was a significant movement of “Christian Kabbalists” studying the Zohar across Europe. One of the first Christian scholars of Kabbalah was Giovanni Pico della Mirandola, an intellectual prodigy and renowned Italian humanist. Pico saw Kabbalah as part of an unbroken oral tradition extending back to Moses on Mount Sinai. He considered the Zohar a divine revelation, the lost key to understanding ancient teachings that were capable of unraveling the inner secrets of Christianity. Sir Isaac Newton’s copy of the Zohar can be seen in the library of Cambridge University. Pico died at the age of thirty-one. His efforts to disseminate Kabbalah to the Christian world were carried on by Johannes Reuchlin, a pioneer in the study of the Hebrew language. In his book On the Art of the Kabbalah, Reuchlin argued, like Pico, that Christian teachings could not be truly understood without an understanding of kabbalistic principles. 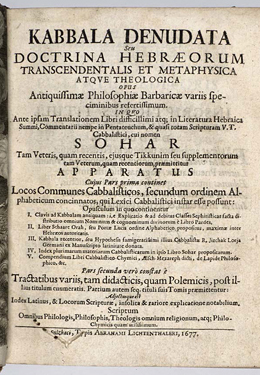 A further development occurred in the seventeenth century, when kabbalists Christian Knorr von Rosenroth and Francis von Helmont produced a Latin translation of the Zohar. This text, known as the Kabbalah Denudata, influenced many great scholars and scientists of the time, including Gottfried Leibniz in Germany and Sir Isaac Newton in England. During the 1920’s, a new era would be ushered in by the work of Rav Yehuda Ashlag, who founded the organization now known as The Kabbalah Centre. Rav Ashlag is responsible for the first unabridged translation of the Zohar from the original Aramaic into Hebrew including his historic commentary. Translation of the Zohar by Rav Ashlag. Pinchas portion. Then in 1995, Michael Berg, co-director of The Kabbalah Centre, began a ten-year process of translating the twenty-three volumes of the Zohar and its commentary for the first time into English, thus making it available to the vast international community of English speakers. The translation of the Zohar into English was a historic turning point, affirming in the strongest terms that Kabbalah and the Zohar transcend all religions, just as the principles of science transcend race or nationality. Today, there are millions of sets of the Zohar currently in circulation worldwide. Learn more about the history of the Zohar, here.